So you might be wondering what this post is all about with such a weird title. Basically, me being the little web developer that I am, I’m pushing myself to learn new standards and actually use these standards as I further my knowledge of web design. I mean this both in the visual sense as well as the behind the scenes or backbone coding sense. I strive to apply standards to everything that I have on this site. It is actually evolving as I learn more and understand how to implement some of the standards that I’ve learned. 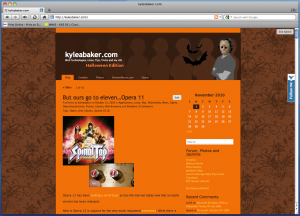 I know by now you’re wondering what this has to do with No-WWW and kyleabaker.com, so I’ll break it down for you.. 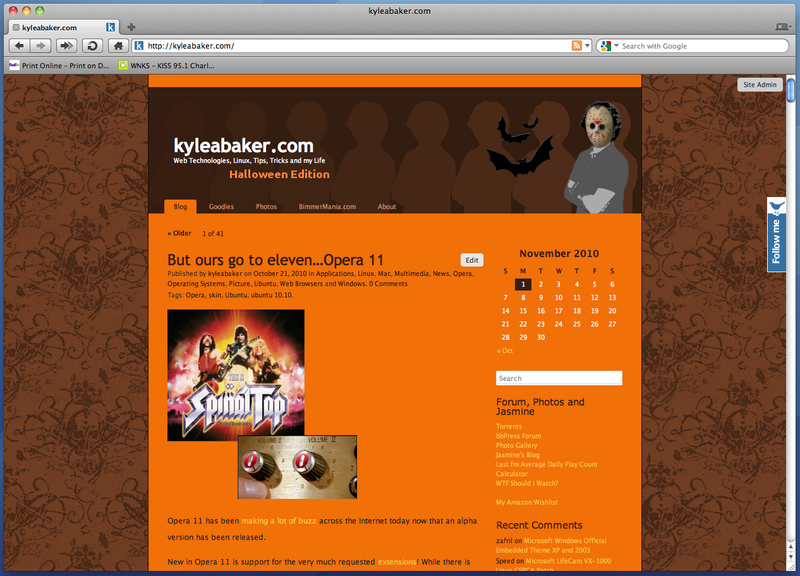 I just recently (as in today) did some server side work to force a domain redirect from www.kyleabaker.com to kyleabaker.com. This is in theory how most all websites should handle the www sub-domain. The reason being that it is redundant for most all websites. For example, with my website I have no other sub-domains served to the public. When visiting or browsing this site you will never need to enter a sub-domain to navigate this site. Therefore the use of ‘www’ is understood. This is how the majority of public websites on the Internet are today. The exceptional websites would be sites such as yahoo, google, ms, etc…that actually take advantage of sub-domains such as ‘mail.blah.com’ or ‘search.blah.com’. However, it is still understood that when visiting Google.com for instance that the ‘www’ can be left off. If you’ve ever seen websites do this in the past then it was probably because they had a crafty URI and wanted it to stand out by removing the ‘www’ automatically. If you have any questions about this or any other standards (this one being supported less than most) then please do ask questions or feel free to look into their site and find a bit more information! Author kyleabakerPosted on December 17, 2007 March 27, 2009 Categories Web DesignTags progress, Web Design3 Comments on no-www.org and kyleabaker.com..
I’ve added a quick drop down box for the search field that uses AJAX and PHP on the backend to fetch results for you in real time. 😉 Just another piece of the site’s redesign that has been underway. 😀 Stay tuned for more news and updates!